Uncategorized | JOKER'S OFFICIAL WEBSITE! Joker was established a little while back now when he was known to be a ‘grime mc’. Then after Joker released ‘What’s The Joke?’ in 2009 he then changed his genre and stuck to rapping and moved on to the commercial side. At the age of only 19, Joker’s managed to create a lot of history and I think is soon to blow. Joker’s been on the scene since 2003 but took his talent serious 3 years ago! 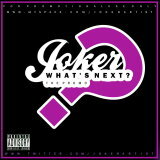 Joker’s got 3 mixtapes, 2 promotional cd’s and 1 ep already. Joker say’s he doesn’t intend to collaborate with too much people but his collaborated so far with Duane Lamonte who’s known for being on X-Factor, Grace Fleary another X-Factor singer, Ozzie B who was part of Lethal B’s crew More Fire Crew, Darnell Swallow who was on Big Brother and more talented artists. Rapper Chipmunk has also given Joker advice and tips on how to break-out too. A lot of people know Joker as just an artist but little they don’t know that his also into acting & can DJ but it doesn’t fulfil his music dream. Joker’s been in a few TV drama’s & a extra in a few known films such as ‘Dubplate Drama 3’. I would class Joker has a versatile artist because he doesn’t just stick to one genre, he works with different genres and loves trying out new ways to create a hit this is why his experimental. Joker’s ambitions and goals in life to where he dreams to be is going the right way because in July 2009 Joker went to do some music work in France and also got approached to be part of a label ‘Shyless Music’ so Joker’s another artist from North London we should definately look out for! Joker has a few promotional videos on youtube and he has his official Youtube channel full of exclusives JATV (JokerArtistTV). He has a variety of freestyles and promotional videos on there so make sure you subscribe to his channel youtube.com/JokerArtistTV. We should hopefully see a album from Joker but he wants to work with a producer that can produce commercial too he says. Definitely an artist to look out for! Okay so it’s about time we heard an album from Joker but he says he’ll do one once he finds a producer that can make history, if not then he’ll have to produce his album but he thinks it’ll be better coming from a full time producer because they have experience and his beats aren’t the best he says. We heard a rumour that Joker’s got a new tattoo on his chest? – Picture please! Joker’s soon to feature in a short film written by his close friend who’s a member of ‘Class Joint’ Lil Simz called ‘The Write Paff’, it hasn’t got a released date yet but i can’t wait! Joker’s been busy working on his second mixtape ‘PLAYTIME’ and tells us that his thinking of working on his first album after ‘Playtime’ releases!